All graduates participating in the 2019 Commencement Exercises or Doctoral Ceremony must wear academic regalia and must complete this form. Those in active military service may wear the prescribed dress uniform (Air Force, Marine, and Navy ROTC candidates, please see option 3 below). 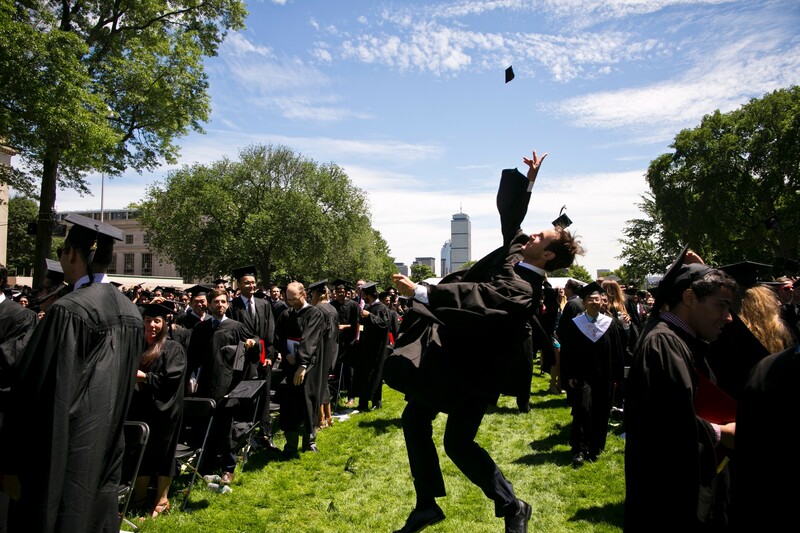 Important: If you are not ordering your regalia from the MIT Coop via this form, you will need to provide proof that you’ve made your regalia arrangements in order to pick up your Commencement tickets (tickets to the Doctoral Ceremony aren’t required). Please read the instructions on this page carefully. More information about tickets, including the pick-up schedule, is available on the Commencement website. If no options appear after logging in, or you cannot access the ticketing window, please first ensure that you are on the Registrar's list of graduating students and that you've confirmed your attendance for Commencement or Doctoral Hooding. If the Registrar's office confirms your status, and you are still unable to place your order, please contact regalia@mit.edu. You may rent or purchase your regalia through this website. You have three options to obtain your regalia—please pay close attention to the Commencement ticket pick-up instructions associated with your preferred option. Please also note that tickets are not emailed to you upon completion of this form. You will need to pick them up in person (please see pick-up hours). Note: Massachusetts sales tax will be applied to regalia rentals. It will appear on the order as 'Convenience Fee (or Mass. sales tax)'. · Commencement ticket pick-up instructions: Have your MIT ID with you and be prepared to show it to staff when you pick them up in person. · In order to pick up your Commencement tickets, you must first complete the form on this page to indicate your plans. Your tickets will not be released to you unless you complete this step. o Use the form to the right. o Under I don’t need to order regalia, enter a quantity of 1 for ticket type Graduating Students. Complete and submit the form. Online regalia ordering will be available from Monday, March 5 through Saturday, May 4. Active Coop Members, please use the code 2019Grad10 to receive your discount. Regalia orders should be placed no later than Saturday, May 4. We recommend that you take care of your regalia arrangements as soon as possible! A limited number of gray faille Doctoral gowns are available for rent on a first-come, first-served basis—please reserve early. Your rented regalia will be available for pick-up along with your tickets in the Bush Room (10-105) beginning Wednesday, May 22. Purchased regalia will be mailed to you at the address you provided. If a representative is picking up your pre-reserved regalia, please provide them with your MIT ID. The representative will be able to pick up your regalia only—YOU must pick up your tickets (see exception for morning of June 7)! Friday, June 14, at 5 pm is the deadline for returning your regalia. Failure to adhere to the terms of the rental agreement will result in a charge from a late fee up to the full retail value of the regalia. If you opted to purchase your regalia, it will be mailed to you at the address you provided. Please allow at six weeks’ turnaround time for all regalia purchases. A limited number of country stoles, which may be worn with your regalia, will also be available for purchase for $44.98. When placing your online order, please indicate the countries for which you wish to purchase a stole so those can be available for you to pick up in 10-105 along with your regalia rental. If you would like a diploma frame, please preorder it along with your regalia order. Preorders submitted through adMIT One receive free shipping within the continental US. At this time, international shipping is not an option. Please indicate which of the two frame choices you would like when you place your regalia order and be sure to indicate the shipping address in your order. Diploma frames may arrive after Commencement.